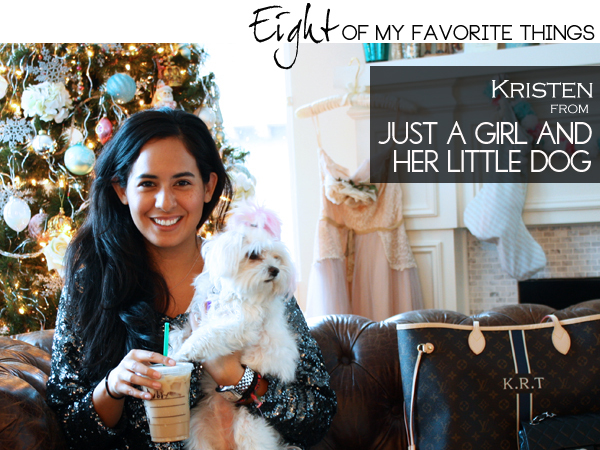 We have Kristen from Just a girl and her little dog, as our guest today. So happy! I love reading Kristen's blog because it is always packed with fun DIYs and beautiful images. She is a blogger by night and actress by day....exciting and glamorous right? And of course Lola, her cute little pup, makes constant guest appearances. Hello Mimosa Lane readers! I am so beyond excited to be a guest of the fabulous Albertina! Mimosa Lane is one of my favorite daily reads and this series is so much fun. So without further ado, here are my favorite things! 1 || My favorite thing to wear. Sparkle. 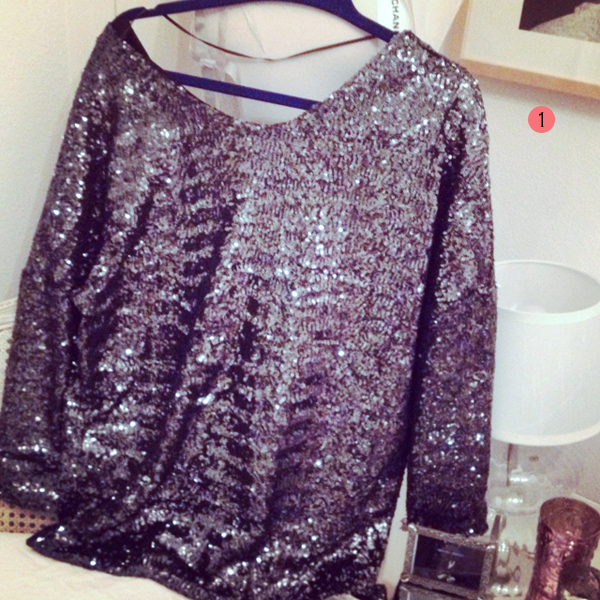 Sequins. Glitter. If it twinkles I want it. A little bit of sparkle makes everything better, that's my motto. 2 || My favorite animal. LOLA of course! She is seriously my little baby. I never would have guessed that a little animal could bring so much joy and fabulosity into my life. 3 || My favorite accessory. Purses. These two are my prides and joy. 4 || My favorite little luxury- Iced grande soy chai a la Starbucks. Notice the name on the cup reads BOBBY (my favorite person; the husband). He'd be in the pic obvi, but someone needed to take the picture. 5 || My favorite piece of furniture. 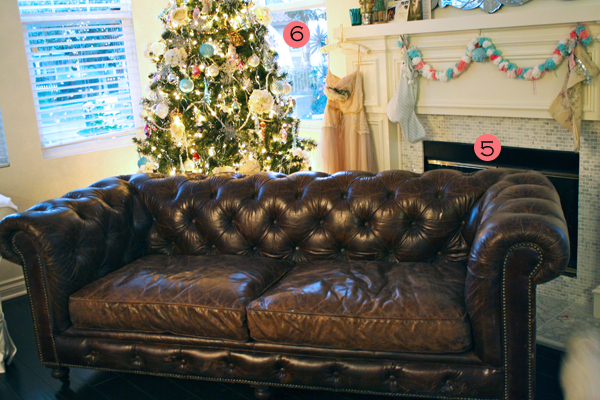 My Rachel Ashwell Shabby Chic Chesterfield couch. This piece will seriously be an heirloom. I scored a ridiculous deal on this baby when I still lived at home. She sat in storage until I had a place of my own. 6 || My favorite holiday. CHRISTMAS! 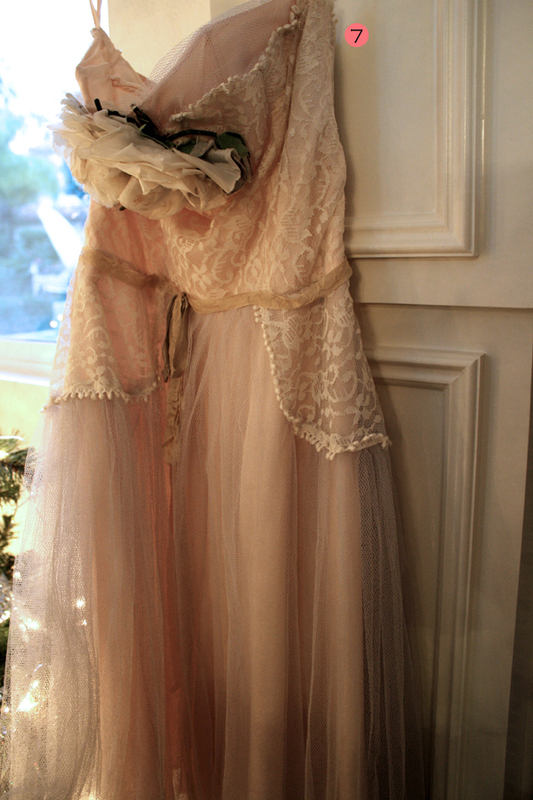 7 || My favorite decoration- My Rachel Ashwell Shabby Chic vintage prom dress. I wore this baby to my bridal shower and she now hangs as decor. 8 || My favorite renovation. My fireplace! This was one of the first and biggest changes we did as soon as we moved in! Check out the my blog for the before! Thank you so much Albertina for including me is such a cool series! MUAH! Thanks Kristen for sharing with us your faves. I love any girl who uses vintage dresses as decor. And all that glitter and sparkle....yes please! Visit Kristen here and say hi. And before you leave me today don't forget about the Charles Emerson Designs giveaway. See details here. I love her blog! These pieces are great that fireplace, beautiful!! Loves me some Kristen! Her blog is such a burst of sunshine. 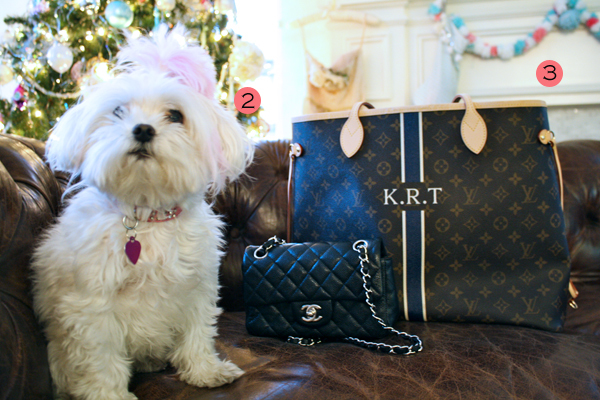 Lola is of course to die for and gurl, I'm sourcing Chesterfields for a project! Great minds. Hehe. p.s. Can I tell you Ms. Albertina, that I wake up on Thursdays thinking, who will be featured today on Mimosa Lane's Favorite Things? Madness! She is the absolute cutest thing I have ever seen. Will have to check her blog out! 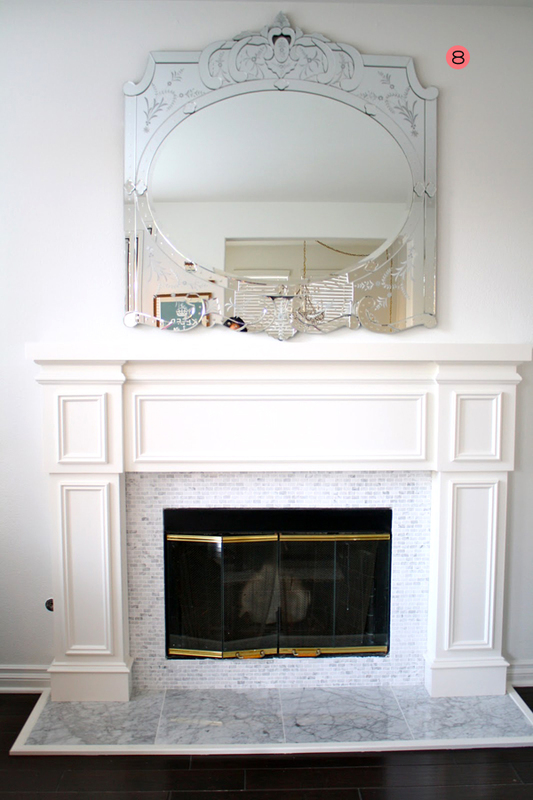 Love that she stored away her chesterfield for a place of her own someday and how fabulous was that fireplace reno?! Kristen's blog has become a daily read. Love the fireplace and this gorgeous dress!!! I am just loving everything about her!! Can't wait to check out her blog! i have a maltese too - great getting to know ur FAVE things! I loove Kristen and her little ball of pink fluff! And this series is so great! Kristen, that dress is beautiful! Gorgeous all around. Love every bit of it! Especially the prom dress and little Lola. Love it all! Especially the dress! so dreamy! Love that fireplace...and her little dog, too. I love love love this child! Great job! I loved this interview! thanks for sharing it I love the questions and the spirit! Fabulous ladies :) I love the idea of hanging a pretty vintage dress as decor! So cute! 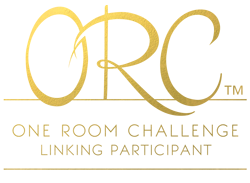 Thanks for the intro to an awesome new blog! !